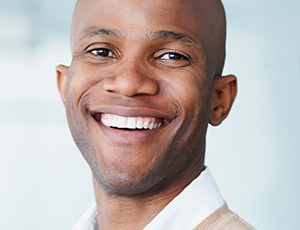 Dental crowns are a popular form of restorative and/or cosmetic dentistry. This type of restoration (also known as a “cap”) is designed to fully cover the visible structure of a damaged tooth. While traditional crowns were crafted from gold, Dr. Bakhtyari strongly recommends all-porcelain materials for an attractive and natural appearance. When a tooth already has a large filling and needs additional restoration. When a tooth has a damaged/fractured filling. When a tooth has been treated with root canal therapy. When a tooth is badly decayed and cannot be treated with a filling. When a tooth is seriously injured. Your new porcelain crown will be precisely matched with your smile’s natural enamel. They will cover the entire tooth, rebuilding its original shape and size while also preserving the remaining structure underneath. Patients can expect to attend at least two appointments at our Oak Hill practice for a new dental crown. During the first visit, Dr. Bakhtyari will capture a detailed impression of your tooth or teeth and send the information to a trusted dental laboratory. He will provide you with a temporary crown in the meantime so that you become used to the feel of it within the mouth. Once your new, permanent crown arrives at our office, we will invite you back for a second appointment so that it can be placed and checked for bite accuracy. We will be happy to provide you with instructions regarding how to care for your new crown at home. Regular brushing, flossing, and checkups here at our Oak Hill, VA office are an absolute must.